Lisa leads the technical team at the Mississippi Polymer Institute (MPI) located within the University of Southern Mississippi’s Technology Accelerator. MPI serves polymer-related companies in 4 main areas: Commercial Development of new technologies, 3D-printing or rapid prototyping, Analytical Testing, and Workforce Development. Prior to joining MPI, Lisa was co-founder and CSO of Ablitech, Inc., a pre-revenue biotech startup seeking to commercialize a polymer-based delivery platform for DNA and RNA therapeutics. While at Ablitech, she helped the company raise over $2.5 million in grant and private funding. Lisa also worked as an industrial chemist for 3 years at Eastman Chemical Company where she was able to develop and commercialize several coatings technologies, one of which had commercial success with 2-year sales of over $5.5 million. These experiences make Lisa a great asset for the Lens of the Market training with ecosVC®. 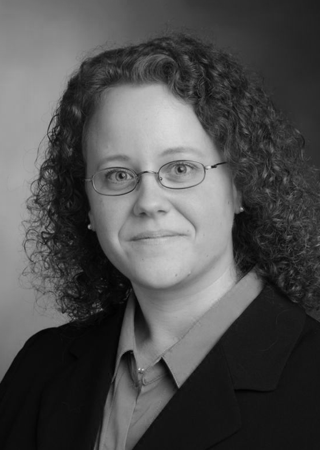 Lisa was recently selected as a member of the Women Chemists Committee of the American Chemical Society. She is also an inaugural member of the Fortune 500 W.O.M.E.N in America group, which aims to advance promising professional women. Lisa is also a volunteer at local science fairs and enjoys working with students who are interested in STEM careers. "A new emulsification method with application for cleaning oil spills” Kemp, Lisa K.; Lochhead, Robert Y.; Morgan, Sarah E.; Savin, Daniel A., Coatings Tech, (2013), 10(5), 34-40.
" Quaternary ammonium silane-functionalized, methacrylate resin composition with antimicrobial activities and self-repair potential." Gong Shi-qiang; Niu Li-Na; Kemp Lisa K; Yiu Cynthia K Y; Ryou Heonjune; Qi Yi-Pin; Blizzard John D; Nikonov, Sergey; Brackett Martha G; Messer Regina L W; Acta Biomaterialia, (2012), 8(9), 3270-82.